For more information about this event, please contact Studio de musique ancienne de Montréal at sbelleville@smamontreal.ca. 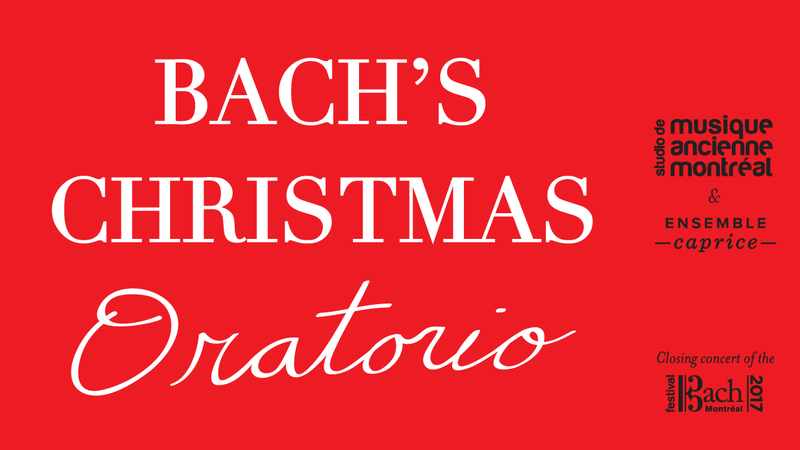 Bach’s serialized version of the Christmas story… in six episodes! The Christmas Oratorio is made up of six cantatas that relate the events surrounding the Nativity. Each part was performed on one of the major feast days of the Christmas period, from the first day of Christmas right through to Epiphany. The brilliance of the trumpets, the exciting choruses and fervent chorales, passionate recitatives, and the contemplative compassion and colourful variety of the arias make the Christmas Oratorio a work of great contrasts, by turns introspective and celebratory.